How do plant species diverge? The Grant-Stebbin model describes pollinator-driven speciation. 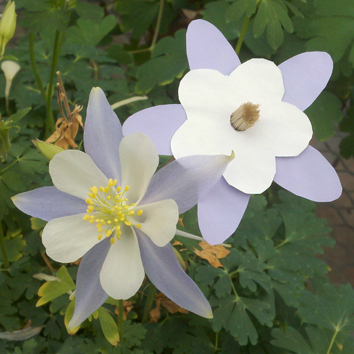 The idea is that plants adapt their flowers to work with the mosr effective pollinators in an area. 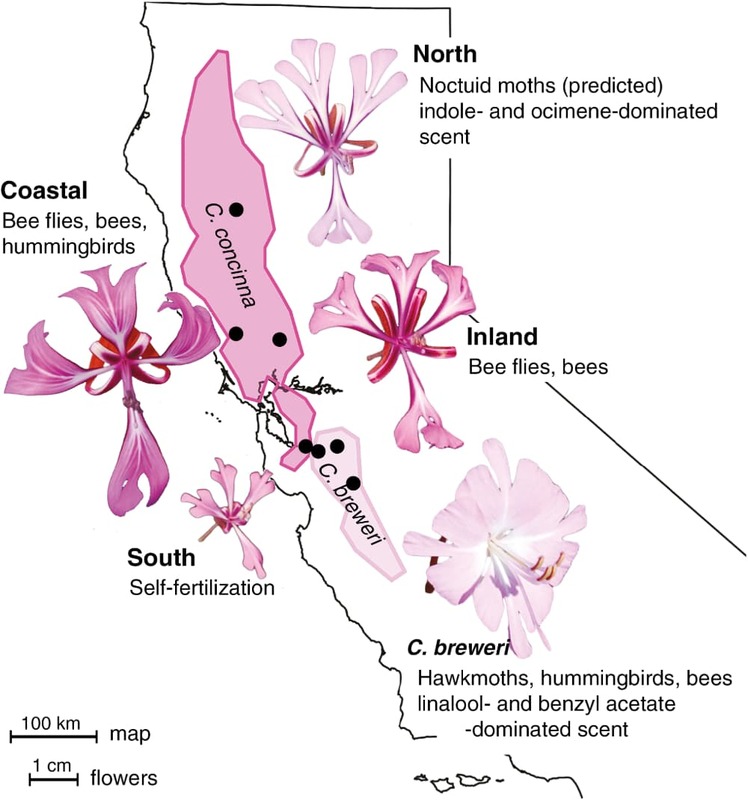 When there are different pollinators across a geographical range, the flowers diverge. As the plants no longer work so well for their relatives’ pollinators, they become genetically isolated. But does a new floral form automatically isolate a plant? Or do other reproductive barriers need to be in place too? Kathleen May and colleagues have been looking at Clarkia to find out. Clarkia breweri and C. concinna have recently diverged from each other. They are still interfertile, but tend not to interbreed as they occupy different habitats. C. concinna grows in woodlands and evergreen forests. C. breweri, in contrast, grows on exposed hillsides. Another change C. breweri has made is adopting pollination by hawkmoths. C. concinna prefers long-tongued flies. Has forming a partnership with a new pollinator done enough to isolate it from C. concinna? May and colleagues set up an experiment with the hawkmoth Hyles lineata. 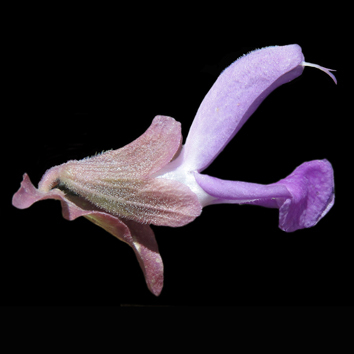 In the wild H. lineata, never visit C. concinna, but then in the wild C. concinna and C. breweri aren’t neighbours. 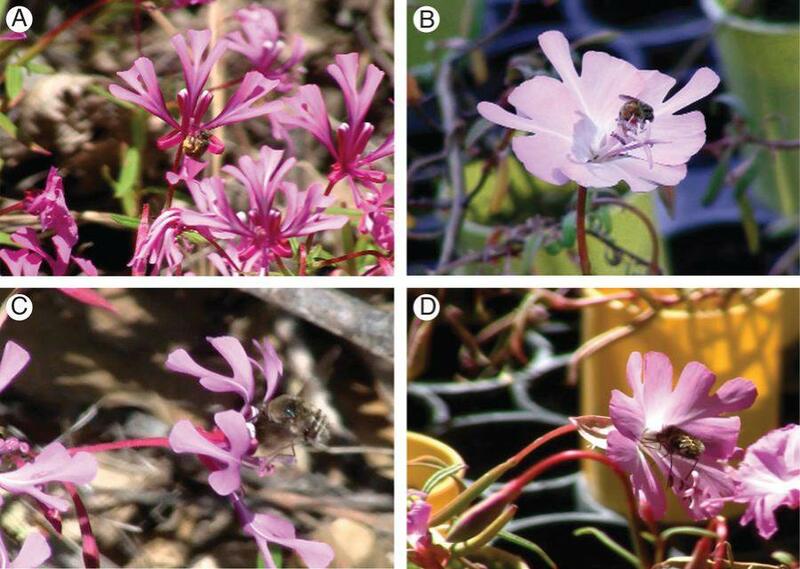 In the teams experimental floral arrays, H. lineata was happy to move between species. Visits are one thing, but does the moth carry any cargo? Looking at C. breweri receiving pollen, the vast majority of pollen on the plant came from other C. breweri plants. It seems the moths aren’t so good at picking up C. concinna pollen. But what happened when they carried C. breweri pollen? Where did that end up? Those results show that some C. concinna flowers are just as capable of receiving C. breweri pollen as C. breweri. So floral adaptation to a new pollinator does not create an automatic barrier to gene flow. May and colleagues conclude that a shift in pollinator is not enough to cause speciation. Instead there must be a combination of factors in play including, in this case, geographic separation. Next articleDoes growing your own veg contribute to food security?